SELL ALL KIND OF CLASSIC FURNITURE, FROM CHAIR, DESK, TABLE AND OTHERS IN YOUR BED ROOM, LIVING ROOM CLASSIC INTERIOR FURNITURE CONTAINER BUYER AT OTHER COUNTRY WELCOME. 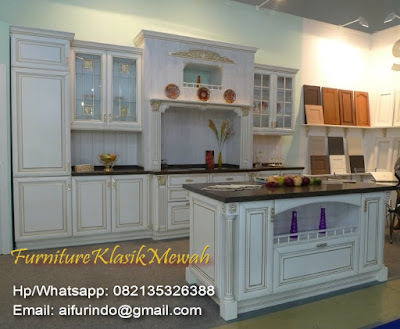 INDONESIA FURNITURE SELL TEAK MINIMALIST FURNITURE,AIFURINDO|INTERIOR CLASSIC FURNITURE. Teak minimalist Furniture from Indonesia we are the best quality indoor outdoor teak bed rom,teak cabinet,armoire,teak wardrobe,teak chair,teak sofa,teak dining table,teak bench,teak mirror,teak kitchen set,teak living room teak minimalist,teak bed room teak minimalist,hotel teak minimalist furniture,restaurant teak minimalist,hotel project, resort,minimalist furniture and custom design for Interior Classic furniture,Home Decoration and classic teak minimalist wooden Furniture Manufacturing from jepara furniture supplier. Teak minimalist Furniture Indonesia,Interior Classic furniture,Classic teak minimalist Furniture Manufacture. We sell exclusive teak indoor and minimalist furniture for interior Home & Hotel appartement resort near the beach,because our quality the best teak wooden for indoor and out door we produce to worldwide. To many country like USA, Germany, UK, France, Russia, Lithuania, Cyprus, Greece, Kuwait, UAE, Japan, Korea, Australia, Singapore, Malaysia, Thailand and Srilanka are some of our destination countries for exporting our wooden furniture. We have more experience of the french classic modern minimalis mahogany and teak styles furniture for more over 10 years and made from mahogany, mindy wood or indonesian oak and it's very affordable and the quality speaks for itself, dovetail joints, smooth sanded to get the highest quality furniture. There is no doubt that our furnitures we have produced being popular in a europe and some other countries. If you are looking for chest of drawers, wardrobes, armoire, bedside tables, kitchen furniture, just have a call or email us, we will be happy to assist you. have large selection of furniture that always keeps up with market demand on fresh and original design, new finishing touch and also environmental friendly materials. The collections cover up all furniture selection for living room, dining room, home office, and kitchen. Furthermore, all furniture is available in any type of wood such as teak, mahogany, oak and more. make furnish your living room, we have buffet and TV stand, book rack, plan stand, set console table and mirror, glass display cabinet, side board, lamp table, love seat, coffee table or sofa table, arm chair, fireplace, telephone table, and CD rack. For your dining room, we offer side board and its mirror, gallery cabinet, dining table, dining chair with arm, dining chair armless, display rack, tea table, wine cabinet, wine table and wine chair. For bed room, we provide a large selection of glorious bed and headboard, bedside cabinet, dresser with its mirror, wardrobe, TV Cabinet, day bed and stool, trunk, chest of drawer, bookshelves, and dressing table. classic minimalist furniture aifurindo sell antique indonesia furniture from teak wooden,indoor mahogany funiture for hotel Project. The collection is also available to furnish your home office with fine writing desk, office chair, swivel chair, book rack, comfortable couch for reading and many more. Your kitchen is not completed without our kitchen cabinet, kitchen island cabinet, wall rack, and wine rack. And if those are still not enough, our occasional items such as mirror, valet, ladder, trunk, architectural items, custom made table, chairs, cabinet, buffet are available. And... your custom designs are acceptable as well. Chairs French Style from mahogany furniturnya hand made with chair sylver leaf for interior. we sell classic indonesian furniture in the production of Jepara furniture suppliers for quality projects Home, Hotels and Gallery in Italy, America, france, spain, australia, caribbean, english and we provide the best quality for the world market.